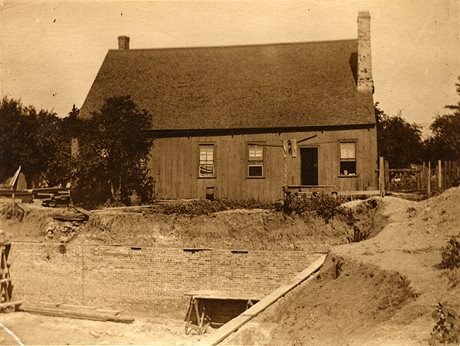 Settlement on what was known as the South Shore of the Detroit River (present-day Windsor) began in 1748 when the Huron Mission was moved from Bois Blanc by Jesuit Father Armand de la Richardie and relocated near the site of the present Assumption Church. By the 1750s, French families were farming on the South Shore and were served by the Parish of Ste-Anne de Détroit. In 1767, under Father Pierre Potier, the mission became Notre-Dame-de-l'Assomption, the first Roman Catholic parish in Ontario. YouTube video – Notre-Dame de L'Assomption, 1767.